Rowing is a full-body workout that burns a lot of calories while also strengthening your muscles. And while rowing workouts have been beloved by celebrities for a while, they’re becoming more and more popular with average fitness enthusiasts. 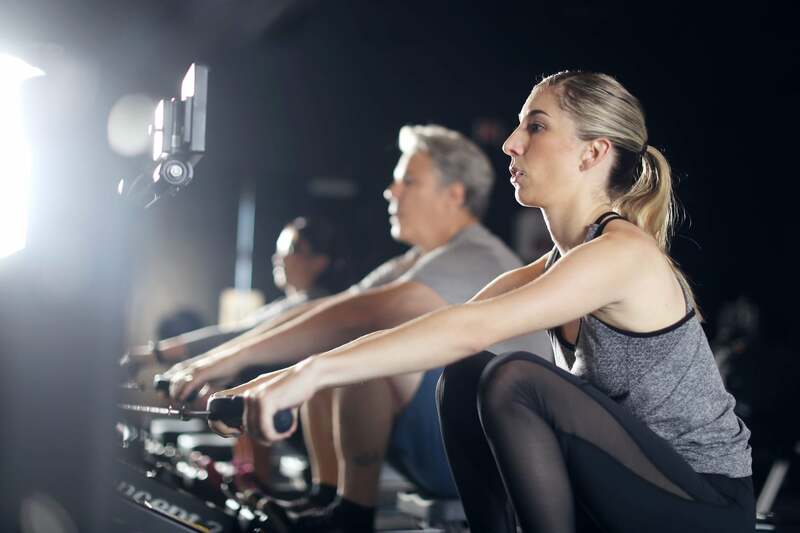 You can work out on the machine at your gym or buy a rower for your home — or row with 20 of your closest friends at a dedicated studio like Row House. If that’s more your speed (who doesn’t love a good group fitness class? ), here’s everything you need to know before trying it for the first time. Row House offers 45-minute rowing workouts that are low-impact but high-intensity. 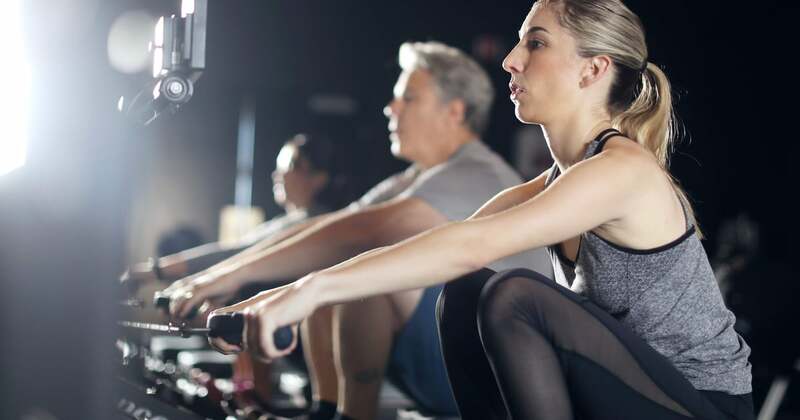 Depending on which class you take, you’ll spend some of that time on a rowing machine and some of it on the floor doing strength training exercises. Some classes focus on cardio more, while others put an emphasis on stretching, and every class is fueled by a good soundtrack. Learning to row properly is a priority at Row House — because while rowing is low-impact, it’s not easy, and you need to do it correctly to engage nearly every muscle of your body. If you’re a beginner, it’s best to take the Stroke class, which will teach you good form so you can get the most effective workout every time. What’s Involved in a Typical Row House Workout? There are six Row House classes to choose from: House, Body, Power, Restore, Full Row, and Stroke. House is a full-body workout and cardio burn. Body combines resistance training and cardio. Power utilizes interval training to really get your blood flowing. Restore is all about dynamic stretching. Full Row is a high-energy rowing class that will help you build endurance. And finally, if you want to learn form and technique, you should start with Stroke. How Much Do Row House Workouts Cost? Prices at Row House vary based on your location and which membership option you’ve chosen. Classes are often between $25 and $30. You can also get drop-in rates and monthly memberships based on how often you want to take classes. You can opt to go four times a month or eight times, or sign up for unlimited classes. You can find a more extensive breakdown on the Row House website. What’s cool about classes at Row House is that you’re all rowing together, like you’re on a team aiming for one goal. While you can tweak your intensity, you’re still staying together, which makes this feel like a true group fitness class. A New Workout System That Is Helping People Get Better Results.